If you are using an eCommerce platform for your webshop or online store it is easy to integrate with us. We provide high-quality integrations for over 50 eCommerce solutions. The most popular ones are certified by us which means that these integrations are tested, managed and fully supported by our expert tech team. Ingenico ePayments certified extensions are available for Magento, SAP Hybris, Salesforce Commerce Cloud, Prestashop, Shopware, ePages and OXID. Most other plug-ins are maintained and made available by our preferred partner Customweb which provides the integration module and the basic support. Finally, you can easily find additional extensions on the market that have been developed by third-parties that support the integration of your webshop with us. How to integrate with Ingenico ePayments? See for yourself the benefits of having Ingenico as your payments partner, why not create a free test account today? Once you're ready to start taking payments, get in touch to activate your account. Find and download your extension or eCommerce plug-in below. Link your eCommerce software to our payments platform, simply by completing the plug-in settings in your Ingenico account. 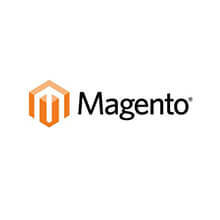 Whether you are on Magento 1 or Magento 2, we provide a free, regularly-updated extension to connect Magento webshops to our payment management system. Our fully-supported extensions help you create a seamless checkout experience for your customers, process your payments quickly & easily, and manage all your transactions from within your Magento Admin Panel. Ingenico ePayments is part of the Demandware Link Partner Ecosystem. Our high-quality payment extension for Salesforce Commerce Cloud reduces the cost and time to market, plus it comes with full integration support. Salesforce Commerce Cloud (previously Demandware) is one of the industry's most agile and scalable commerce platforms. Its innovative cloud-based technology enables world-class global retailers to focus resources on achieving growth, rather than managing IT infrastructure. Ingenico ePayments is part of the SAP Hybris Extend Partner Programme. Our high quality product extension for the Ogone platform is accredited, regularly updated and comes with full integration support. By connecting to SAP Hybris, you'll have access to the industry’s most modern, agile and comprehensive commerce platform technology. With its state-of-the-art master data management system, it's ideal for large multi-national, multi-channel, multi-site retailers. Ingenico ePayments provides online merchants with payment solutions via the PrestaShop Addons Marketplace. Our free extension is accredited, regularly updated and comes with full integration support. Shopware is an open source eCommerce platform that focuses on providing an emotional shopping experience across devices. Shopware 5 stands for more emotional, atmospheric shopping and a completely new product experience. It is based on state-of-the-art technology and yet intuitive to use. ePages is a high performance online shop software in the cloud. Their all-in solutions include design templates that can be customised, as well as automatic updates without additional costs. Over 140.000 merchants use ePages across 70 countries. As a technology partner of ePages, we are fully integrated in the ePages eCommerce solutions. OXID eSales is a leading provider of eCommerce solutions, focused on cross-channel strategies for B2B and B2C. Our payment extension is available in the OXID eXchange Marketplace. 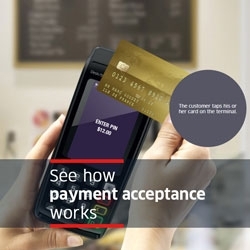 It provides an online payment experience with a state of the art technology, including ten different payment methods within a layout of your choice. The module supports both static and dynamic presets for the payment page layout, as well as one-page checkout.